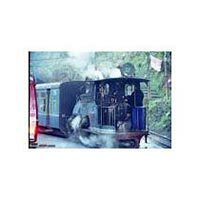 Arrival at Bagdogra Airport or New Jalpayguri station and proceed towards Darjeeling. Check into the hotel, rest, relax and at leisure visit the sightseeing places. The sightseeing will include Mirik via Jorepokhri, pashupati market Nepal border. Overnight at Darjeeling. Morning after breakfast proceeds towards the other sightseeing like Joy toy train ride (If it’s in Operation), tea factory visit. You can also go to Teesta River for white water rafting(If it’s in Operation). Overnight at Darjeeling. Morning after Breakfast, checks out from the resort and then proceed towards Gangtok, which is around 04hrs 30mins drive. On the way visit Kalimpong. 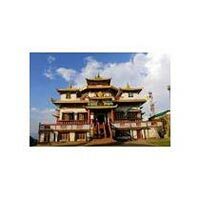 Reach Gangtok by evening and overnight at Gangtok. Morning after Breakfast proceed towards Gangtok sightseeing with Rhumtek Monestry. Overnight at Gangtok. After having tight Breakfast proceed for some more sightseeing which includes Tsangu lake (a holy lake) and Babamandir. Overnight rest at Gangtok. Morning after Breakfast proceed towards Bagdogra Airport or Jalpayguri Railway Station.